The Vice Presidential candidate of the PDP, Mr. Peter Obi has declared that not even the electioneering campaign for the February 2019 election would stop him from his routine visit to schools, reports ITREALMS. 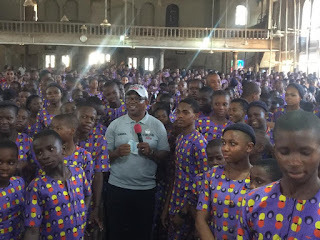 Speaking Wednesday during his visit to St. Patrick's Secondary School, Ugwuagba, Obosi in Anambra State, Mr. Obi encouraged students to remain focused in their academic pursuits, stressing that education remained the most essential currency for competition in the world of today. "Atiku is education-friendly. I have had many sessions with him on how we would tackle the problem of education in order to get it right. He is saddened by the continual strike by lecturers of higher institution and he is determined that under him, such would not, as now, become a national pastime. Of course, he has asked me those things we did to improve education in Anambra State and he is ready to apply them nationally. Responding on behalf of the students, the Senior Prefect, Master Onyekachukwu Obasi thanked Obi for his wonderful stewardship in Anambra. He said it was under him that their school got brand new buses, computers, generators, internet connectivity, among other necessary Infrastructure. The high point of the visit was the donation of N2 milllion to the school for continued infrastructural improvement. 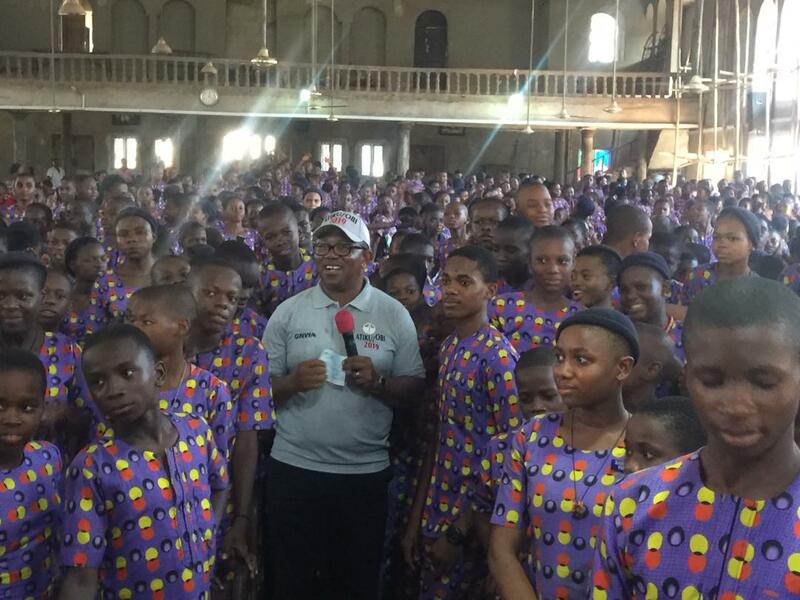 Pic: The Vice Presidential candidate of the PDP, Mr. Peter Obi presenting a cheque of 2million Naira to the students of St. Patrick's Secondary School, Ugwuagba, Obosi for continued infrastructure improvement.